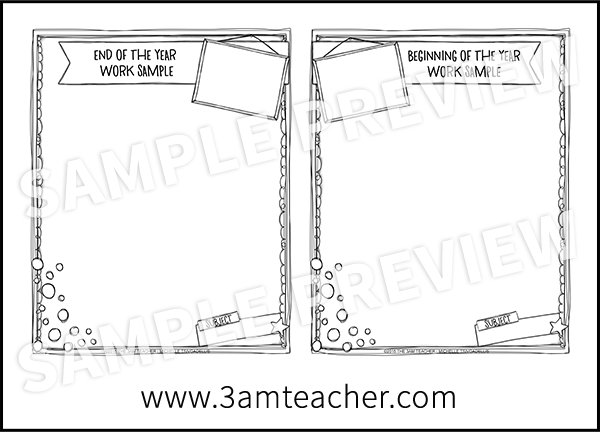 The 3am Teacher: End of the Year Memory Book is HERE! Plus Flowers & a Gift?? End of the Year Memory Book is HERE! Plus Flowers & a Gift?? 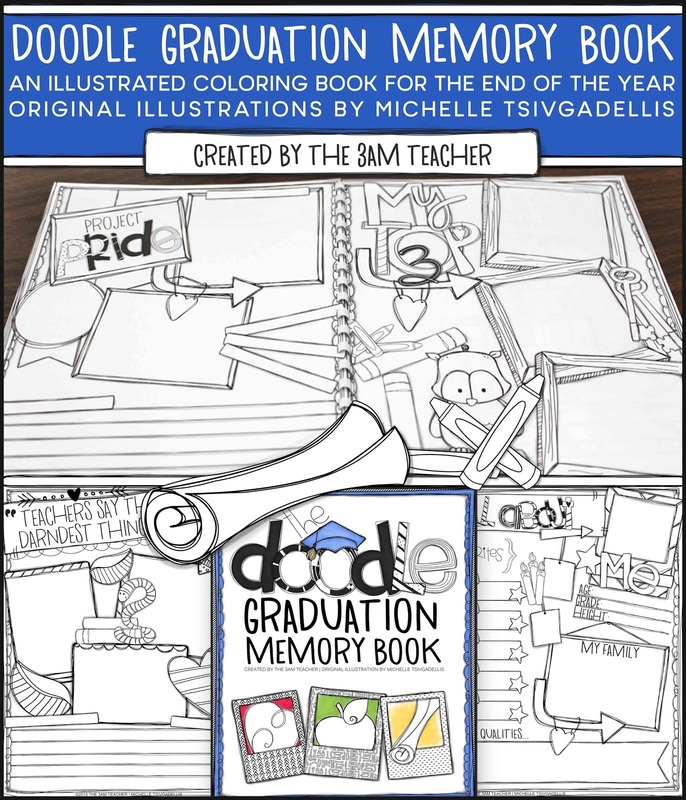 I recently finished my End of the Year Doodle Memory Coloring book and I just love how it turned out!! Every page is hand drawn and completely unique. Because the memory book is not "year" specific, you can purchase it only once and enjoy it year after year with your students or kids. I created this more for students who can write, however, younger students can easily illustrate the information with a little direction and help from an adult. 2. 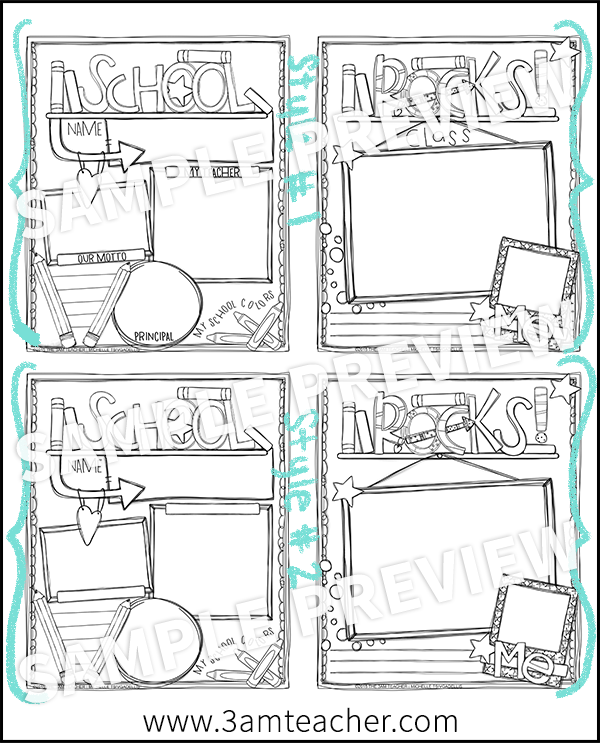 School Rocks 2-Page Spread (Image preview above): Allow students to complete two pages all about their school, teacher(s), and class or choose other things about school your students can save as memories using the alternate versions without text titles. 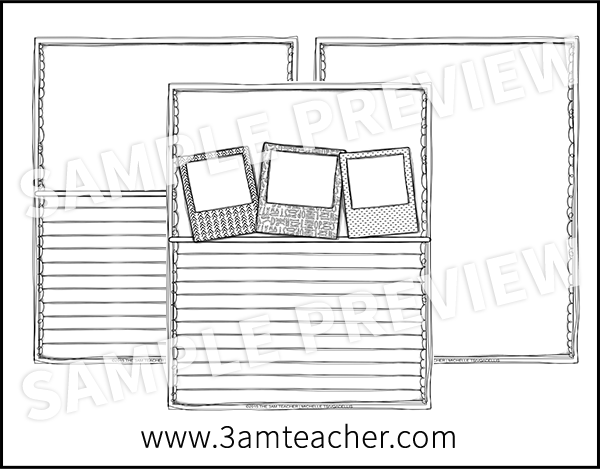 If you print the memory books on card stock, students can paint the pages with watercolor as well as illustrate the images using pencils, pens or even add real photos once the paint has dried. Using a mix of artistic mediums will really make this little memory book pop. Allow them to get as creative as possible! 6. 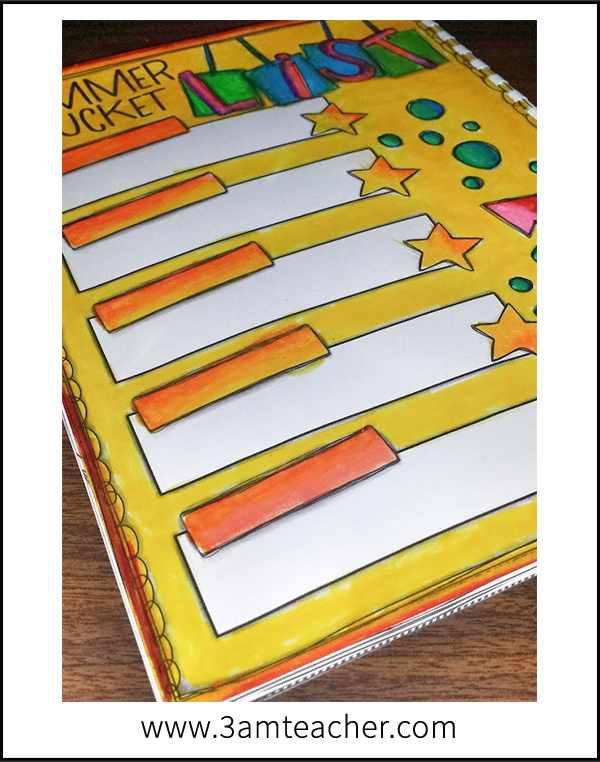 Project Pride: Allow students to write, illustrate, and/or glue pictures of a special project, assignment or fundraiser they completed this year that they are especially proud of. You can also come up with something completely different to direct your students to focus on for this page or allow them to come up with their own ideas. 7. My Top Three: Students can choose three favorites to feature on this page. Anything from top three subjects, assignments, days, activities, etc. Probably my most favorite page. I decided to add this page because I have had previous students remind me of some of the quirky things I said while they were in my class and I thought it would be fun for students to write down some of their own favorite teacher quotes to remember. 9. 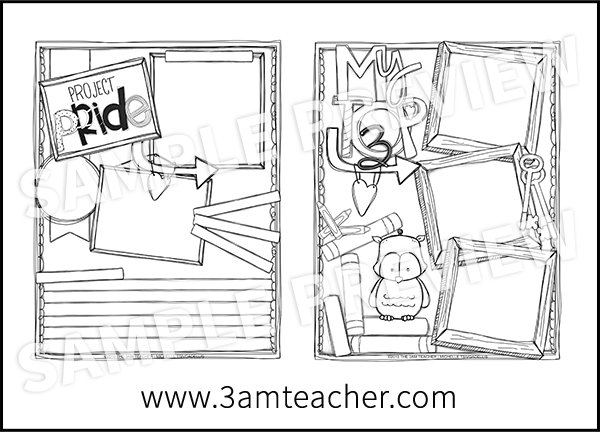 Inspirational Quote Coloring Page: Allow students to color this and frame if if they choose to. 11. Things That Inspire Me: a Pinterest inspired 2-page layout that students can make their own. 12. Thoughts: A fun page for students to record their own thoughts about life, school, or other things. 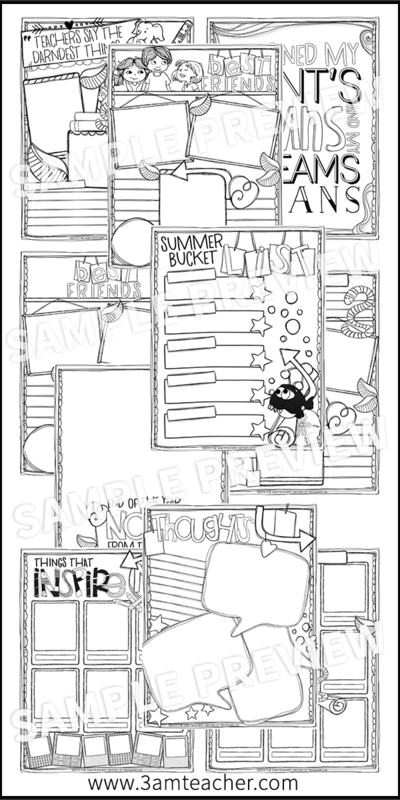 These will be fun pages for them to look back on as they grow and blossom over the years. 14. 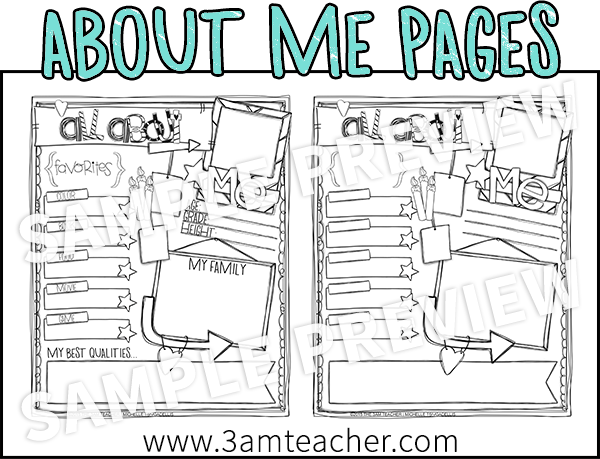 2-Page Signature Page: allow students to write words of encouragement and messages to one another on these pages. 15. Congratulations: A page to glue a graduation photo. This page does have a blue colored border and a blue graduation cap. 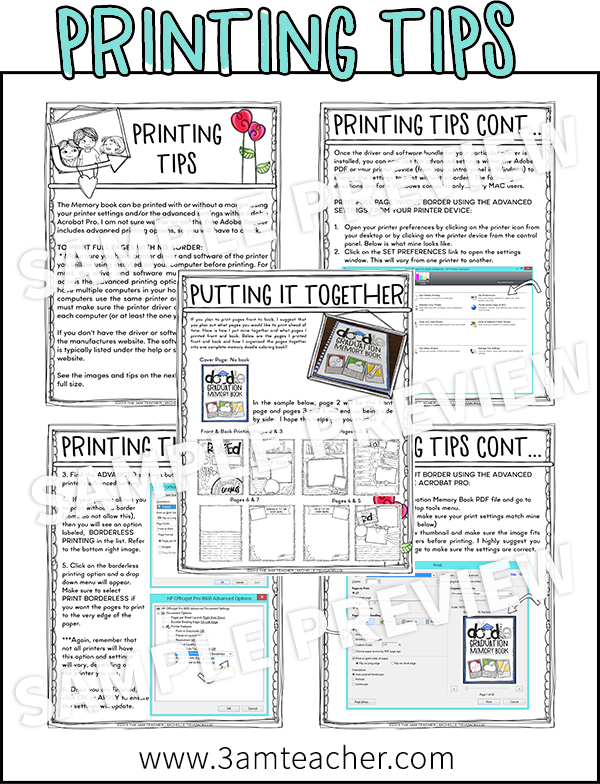 BONUS: Printing & Assembly Tips: I have included several pages with some helpful printing tips to eliminate white borders for those of you who prefer to print the full pages. That is what I did for the one I have in the preview images. I was still able to bind it without covering any of the important graphics or content on the pages. 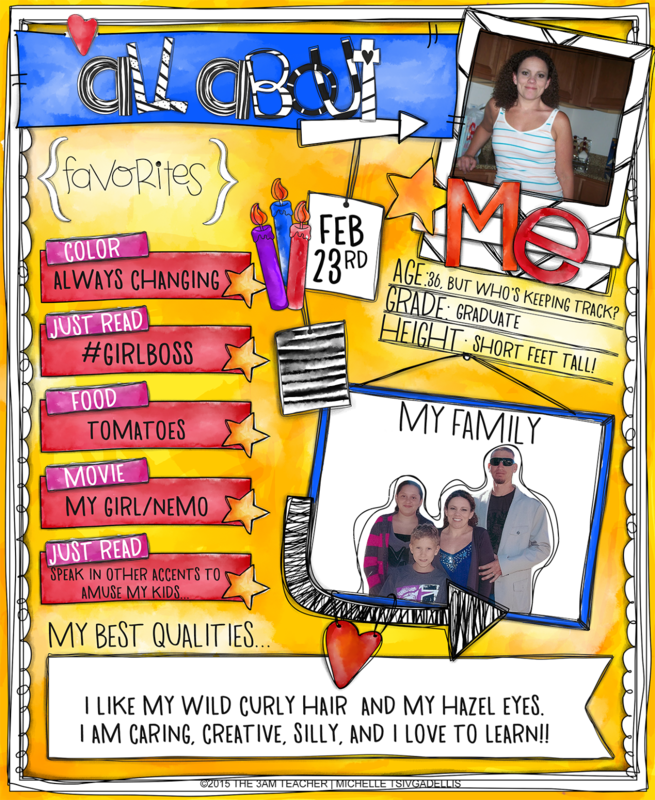 My completed About Me Page: I painted this one digitally.. I know.. I cheated.. 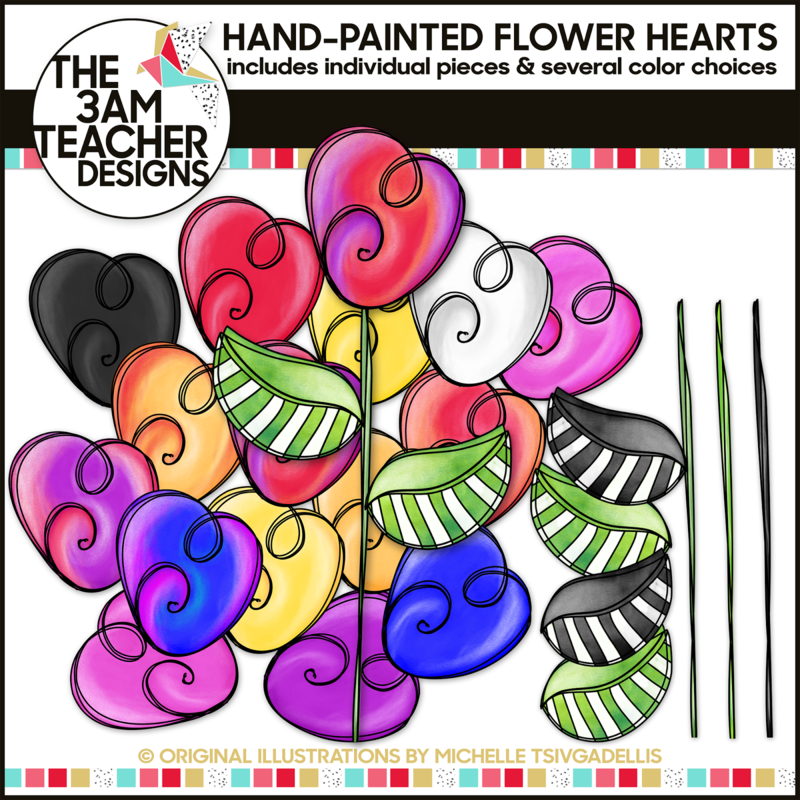 I also have a cute little flower heart set that includes separate pieces for you to grow your own combinations. Create a hand-painted love bouquet to a home-made Mother's Day Card. AND... I am not even finished yet... 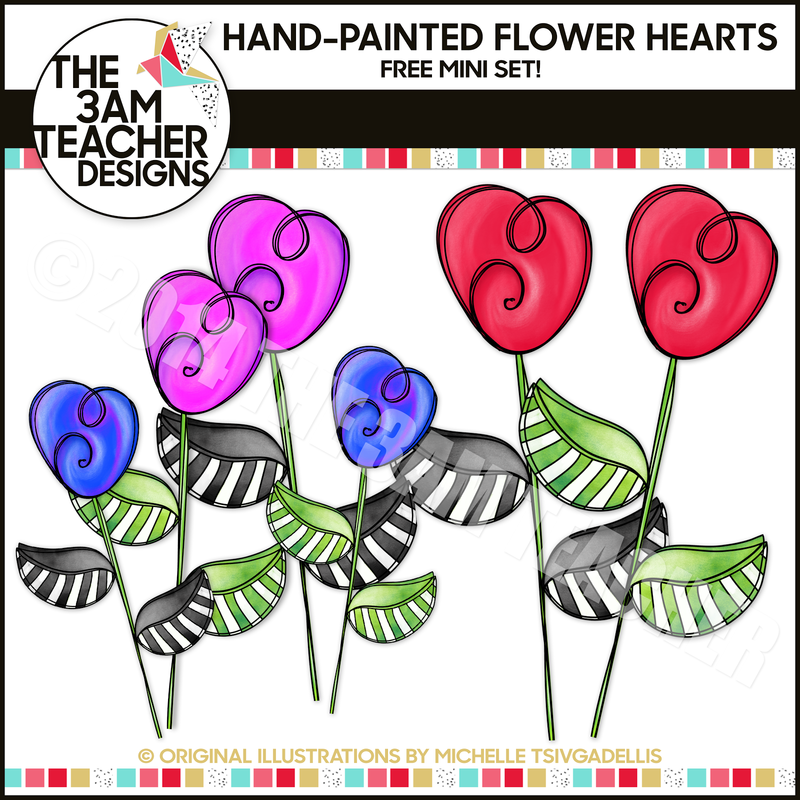 I also have a free mini set of love flowers for all of you to enjoy!! Thank you so much for all of your support & feedback! I'd be lost without all of ya! Your creativity is mind blowing! Thank you for all the work you put into the memory book! It is a MUST HAVE! Your memory book is awesome! Indeed you're very creative and blessed with this quality. The best memory book I found. Wanna do this with my kids.